Currently Arik owns a Physical Therapy clinic in Guadalajara, Mexico which has become the “go-to” clinic for patients of all varieties as well as some of the best athletes in the country. Additionally, Arik, since early 2016, has been focusing his efforts on resolving the massive chronic pain epidemic in the United States. 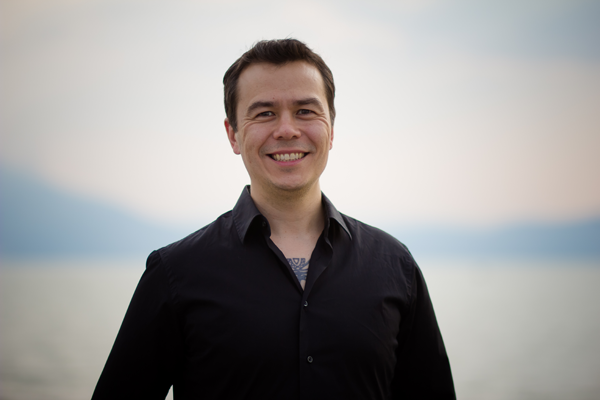 Stephen began his massage career in 2000 in California, where he received his first license. In order to treat soft tissue issues and pain more effectively and to help his clients heal, he went back to school in 2001 to study myofascial techniques, Structural Integration and trigger point therapies. Stephen graduated from the Healing Hands School of Holistic Health in 2003. Stephen’s past and present clientele includes professional and Olympic swimmers and divers, professional football players, golfers, dancers and aerialists, extreme marathon runners (3100 miles ! ), hockey players, stay-at-home dads, active moms, martial artists, dog walkers, yoga practitioners, and lots of desk-job workers. In 2008 Stephen met Arik Gohl, the creator of Manual Ligament Therapy (MLT), at an MLT demonstration in Washington. He immediately saw the positive change this ground-breaking technique made in his clients and became a student of Arik. Since then Stephen has worked closely with Arik and the MLT community to further develop and promote Manual Ligament Therapy across the country. Out of excitement for new treatment possibilities and with a desire to share, Stephen trained to become an instructor of MLT. He is now a Master instructor of Manual Ligament Therapy (MMLT) and teaches throughout the country. Believing that education and good communication are the keys to change, Stephen works very closely with students to help them develop the understanding and confidence to use Manual Ligament Therapy as a stand-alone technique or as part of their own bodywork style. Stephen enjoys playing ice hockey, a passion that started when he was 3 yrs old. Ricky is a graduate of the Florida School of Massage in Gainesville Florida, and has been a licensed massage therapist since 2009. He received National certification from the National Certification Board for Therapeutic Massage and Bodywork. In 2013 Ricky began his training in M.L.T. culminating in 2016 when he trained directly with Arik Gohl, the creator of MLT as well as with Stephen Wadsworth to attain his Master of Manual Ligament Therapy title. Ricky grew up in Grand Junction, Colorado, and holds a degree in Health and Physical Education. While attending Colorado Christian University, Ricky was a member of the Men’s Soccer team. After graduating, Ricky continued his soccer career in Boulder, CO, playing in a semi-professional indoor league as well as a Premier Development League. Ricky is married to Tiffani Ray and they reside in Alachua, Florida. Manual Ligament Therapy classes taught are sponsored by Evolution Manual Therapy Associates LLC and endorsed by Arik Gohl. Evolution Manual Therapy Associates is approved by the National Certification Board for Therapeutic Massage & Bodywork (NCBTMB) as a continuing education Approved Provider (Provider ID: 1182 ) as well as the Florida and Georgia Boards of Massage (Provider ID: ). Evolution Manual Therapy Associates LLC is recognized by the Board of Certification, Inc. to provide continuing education for Certified Athletic Trainers. Provider ID: .